This year marks 10 fulfilling years of Pediatric Psycho-Oncology (SIOP-PPO) accomplishments. The PPO meeting in Washington DC in October was very well attended and included state-of the art sessions on ‘Survivorship’, ‘PROs in research and clinical practice’, ‘Implementing psychosocial standards of care’, ‘Fertility’, and ‘Innovative interventions’. Thanks to the SIOP board we were able to invite experts from across the globe in addition to speakers who were selected through the online abstract submission process. Dr. Julia Rowland (USA) and Dr. Gisela Michel (Switzerland) provided us with an overview of where we stand in terms of survivorship research and care. Dr. Bryce Reeve (USA) addressed the importance of the child’s voice in research and care in the assessment of patient-reported outcomes. Finally, Dr. Claire Wakefield (Australia), inspired us with personal reflections of her career path and provided us with tips on how to build a sustainable multidisciplinary research team in pediatric oncology. In addition to the PPO educational day, we also had three PPO free paper sessions, poster discussion sessions, and other psychosocial topics on the main program. The highest ranked abstracts were selected for free paper sessions on ‘Parent and sibling quality of life’ and ‘Treating 21st century cancer survivors’. Together with the nursing professionals, we organized a free paper session on ‘Stress and experiences from children, parents, and healthcare providers’. There were excellent clinical case presentations by Dr.Maria McCarthy (Australia), Dr. Clara Hungr (USA) and Dr. Brian Delany (USA) and we had an early breakfast session on ‘New tools for neuropsychological assessment of clinical trial participants’. To facilitate the exchange of research and clinical data on pediatric psycho-oncology issues. To support the integration of these data into current psychological research, theory, and practice. To encourage the rapid incorporation of this psychological knowledge into clinical pediatric oncology practice worldwide. 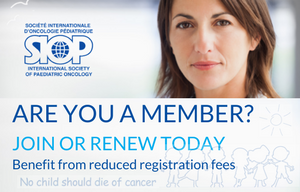 There are signs that SIOP is valuing psycho-oncology as an even more important part of fulfilling its mission of defining and supporting the best care for children with cancer. A major PPO accomplishment in 2017 is that the PPO committee was asked by the SIOP board to participate in the SIOP Scientific Committee. We are delighted to announce that Dr. Stephen Sands has agreed to fulfil this position for the next three years. 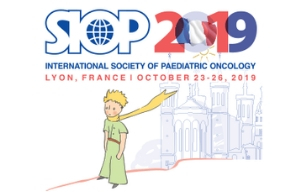 This is a wonderful opportunity to work together on overarching multidisciplinary themes in pediatric oncology research, and to keep psycho-oncology topics on the SIOP agenda. In addition, spearheaded by Drs. Andrea Patenaude and Martha Grootenhuis, at the Washington meeting a Memorandum of Understanding was signed by Dr. Eric Bouffet (SIOP President) between SIOP and the International Psycho-Oncology Society (IPOS), cementing a closer relationship between these 2 organizations devoted to excellent cancer care. We are already busy planning topics and speakers for SIOP 2018 in Kyoto. We encourage you all too to already look ahead and start planning to submit high-quality abstracts/symposia for SIOP 2018. Let’s all work to ensure that the PPO community and our collaboration with other professionals continues to grow in the coming years! We look forward to seeing you all in Kyoto.